Whether you’re a prolific social media wizard or have never been active on a social media site before, there is no dodging the fact that social media is the next big stage for marketers from all sorts of industries. Social media has given influence to everyday creators; making marketers and micro-influencers out of common consumers. 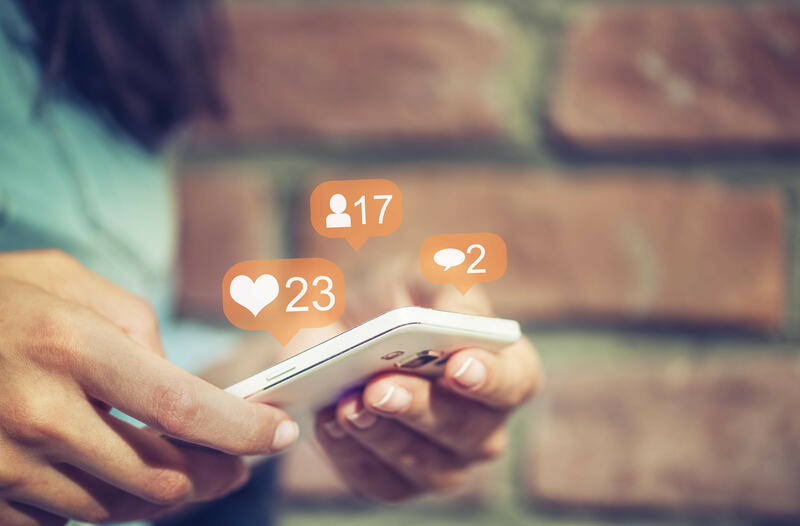 The magic with these social influencers is that even though their amount of followers aren’t as grandeur as that of a celebrity’s, their reach is highly targeted and, depending on the social platform, extremely sales-ready. That’s precisely why native marketing has become so popular within the last decade. Native advertising, or the advertisement of a product or service in an authentic, everyday setting, tends to be high-converting because of its seeming authenticity. While a celebrity may have loyal fans that will buy into whatever they promote regardless of its context, huge TV campaigns and billboards are sometimes not nearly as powerful as simply giving the celebrity the product and having them promote it on their personal platforms in an authentic way. When a micro-influencer does this, it reaches their most captive fans to earn the company a few quality leads. The social media ecosystem is very much similar to that of the lead generation ecosystem, completed with publishers, brands, networks, and commissions involved. Brands have their own reach as well, but they employ influencers as marketing contractors to expand their reach. The process is similar to lead generators driving traffic to the brands that they work with through the help of an agency that connected them together. No matter which social media platform you want to conquer, the same brand-agency-influencer model applies. The slight differences can be analyzed on a per-platform basis. Instagram: This might seem like a no-brainer, but what makes Instagram truly unique is something that brands often overlook: your marketing platform operates in grids. The square displays on your brand profile matters a lot, so having a cohesive feed is imperative. Facebook: Facebook is less about photos and feed cohesiveness than it is about having engaging subtitled videos. The autoplay feature works in the favor of brands, allowing video advertisements to capture your audience’s attention without them necessarily opting in. Twitter: This might apply to all social platforms, but Twitter, especially, gives room for brands to be creative and informal with their messaging. A humorous one-liner, reply, or interesting photo can catch on like wildfire if you do it right. With these differences in mind, optimize your campaigns accordingly. An advertisement that might go viral on Facebook might not work as well when it’s posted on Instagram, but it can be adapted for higher engagement. Instagram: To have a successful launch on Instagram, it all lies in the preparation. You should have at least a full row of high-quality, engaging photos already posted before you reach out to influencers to talk about your brand. Create a succession of campaigns following the launch of your brand for waves of engagement to come. Your existing posts will determine whether or not your traffic will stay or leave. Facebook: Facebook campaigns are a little different in that it doesn’t involve reaching out to influencers for shout-outs as much as Instagram. A brand can start from scratch and gain traction just by boosting their posts using the promotion feature, or by sharing their video in relevant groups. Twitter: Finally, to adapt your campaign to Twitter, incorporate wit or humor along with a corresponding image. You can then partner with key influencers to share your post and boost your reach through that strategy. For more marketing tips like this, be sure to follow along on our blog! We update it weekly with valuable marketing advice and insight for you to use at your disposal. To learn more about Phonexa and the cutting edge marketing software that we offer, click here.